It is the latest version of the new mod loader. 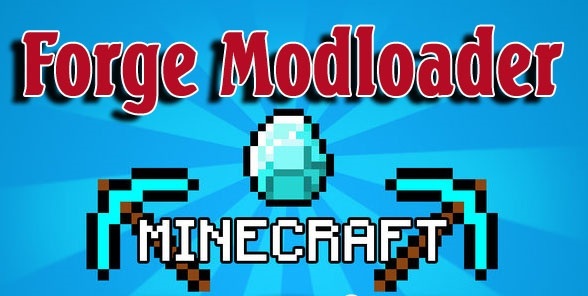 It is the FML- Forge Mod Loader in Minecraft. It started as a mod loading system for the server side of use. Then it was upgraded for the bukkit use. Finally, it is available for the client side as well. FML in Minecraft can now be used without Minecraft Forge both on the client and server side with full modloading capability. It is also completely compatible with ModLoader based mods, and as I mentioned earlier, it works for both client and server versions. In addition, the FML will provide support for basic texture packs that are in HD. However, it will only be effective for HD texture packs of resolution up to 128x. It will also work with some texture packs of 256x resolution, but the current version will only effectively cover until 128x. For full HD features, installation of OptiFine is recommended. But no worries, FML will enhance the operation of OptiFine. This must be the best mod loader ever. For further and clearer information, you should check the README text in the zip file. It will definitely help you more, especially if you are one of the developers. Let’s try it right now and see how effective the newest mod loader is! To install the binary, unzip, you put into minecraft.jar file. Deleting META-INF is strictly optional. To run a dedicated server, you put the fml universal binary in the same directory as minecraft_server.jar and then run java -jar <fml-universal-binary>.zip. Open up the minecraft.jar found in the bin folder using 7-zip of winrar. For servers, move the contents in the downloaded mod file into the minecraft_server.jar. For clients, move the contents in the downloaded mod file into the minecraft.jar.